As NFL training camps inch closer on the calendar, it is fair to say that not every quarterback situation around the league is created equal. Injuries of course play into the picture. Some of the league’s quarterbacks are looking to suit up and perform as if nothing ever happened after missing extensive time. In some cases, we shudder to envision these quarterbacks’ backups under center for any reason. Outside of injuries, other quarterbacks will be playing behind shoddy offensive lines or even worse — reportedly sitting out due to a suspension. With that said, here are the 10 worst quarterback situations in the NFL. 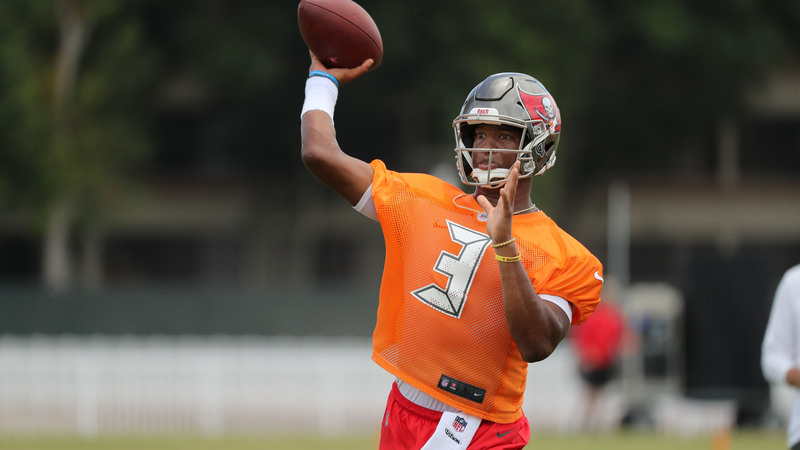 The Bucs look to be opening up the regular season without their starting quarterback, Jameis Winston, under center. He will reportedly be serving a three-game suspension for violating the NFL’s personal conduct policy. Further research into this story reveals Winston did not exactly keep very good company during the alleged event that led to the suspension. This is definitely not a good look for a Buccaneers franchise that selected Winston first overall in 2015. Aside from this, Winston is coming off of a 2017 campaign in which he threw for only 19 touchdowns in 13 games. Veteran quarterback Ryan Fitzpatrick, who completed just 58.9 percent of his passes when filling in for Winston last year, should be the face Bucs fans see when the season kicks off. Backing him up will be Ryan Griffin and rookie Austin Allen. It is not even September, but it already looks to be an uphill battle for Tampa Bay. Where do we start? The Bills are once again conducting a quarterback competition to find out who is most qualified to open the season. This panel of quarterbacks consists of the newly signed A.J. McCarron, 2018 first-round pick Josh Allen and second-year passer Nathan Peterman. Despite the Peterman’s infamous five-interception game from last year, he is a “serious contender” to earn the starting job. He is reportedly out-performing McCarron, who struggled big-time in minicamp. Beyond Peterman and McCarron, the Bills moved up in this year’s draft to select Allen seventh-overall. 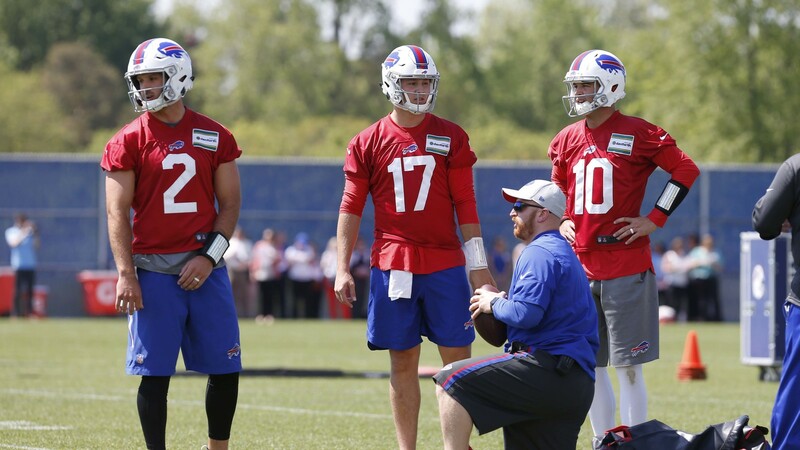 Though, head coach Sean McDermott has already said that Allen will begin training camp as the third-string quarterback. The bottom line is, all of the above could see time under center this fall. Combined, the three quarterbacks have five pro starts, eight touchdowns and seven interceptions on record. It is no wonder we recently ranked the Bills’ offense as the league’s worst. It has been three seasons since quarterback Andy Dalton and the Bengals have made the playoffs. 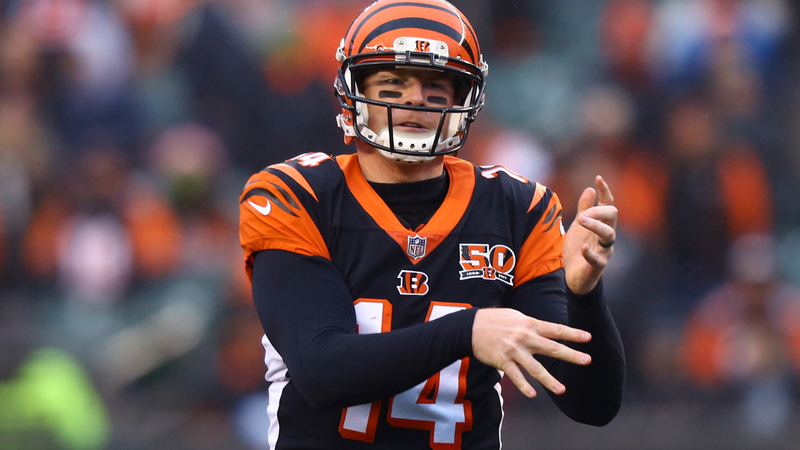 Last year in particular, Dalton looked out of sorts when he completed only 59.9 percent of his passes and threw for nearly 1,000 less yards than he did in 2016. Plus, his 25 touchdowns were muddied by 12 interceptions. Outside of their down season, the Bengals failed to keep Dalton’s only viable backup — the aforementioned McCarron — on the roster. Sitting behind Dalton in depth is Matt Barkley, Jeff Driskel and rookie Logan Woodside. Should anything happen with Dalton this year, the Bengals would be hard pressed to impress with this supporting cast. 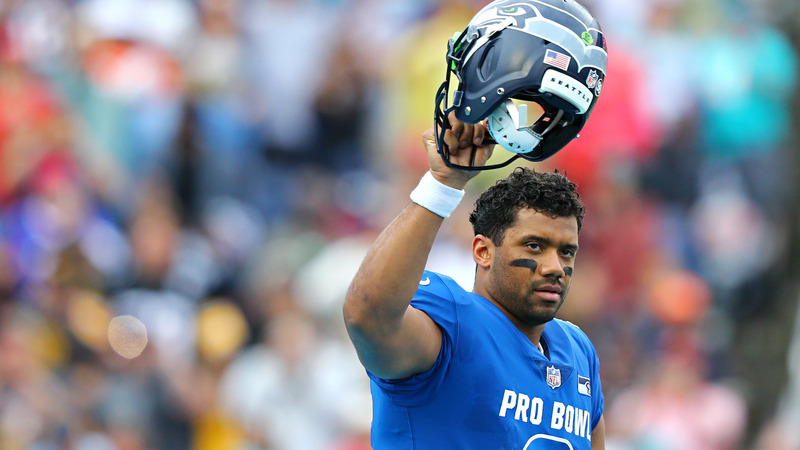 The Seahawks had better keep knocking on wood hoping Russell Wilson stays healthy. If anything were to go awry here regarding Wilson, the Seahawks would be toast. Working behind a Swiss cheese-like offensive line, Wilson has been sacked 248 times since he was drafted in 2012. That equates to an average of 41.3 sacks per year, which is a ridiculous stat. Wilson is an exceptionally talented quarterback who should not be running around fearing for his safety each week. The Seahawks are very fortunate that Wilson has not missed one game out of 96 contests. Behind Wilson is second-year quarterback Austin Davis and rookie Alex McGough. The Hawks can only hope Wilson keeps remaining resilient to the physical torture he endures on a seasonal basis. Whether Andrew Luck returns to full health or suffers another setback will determine the Colts’ success for the foreseeable future. 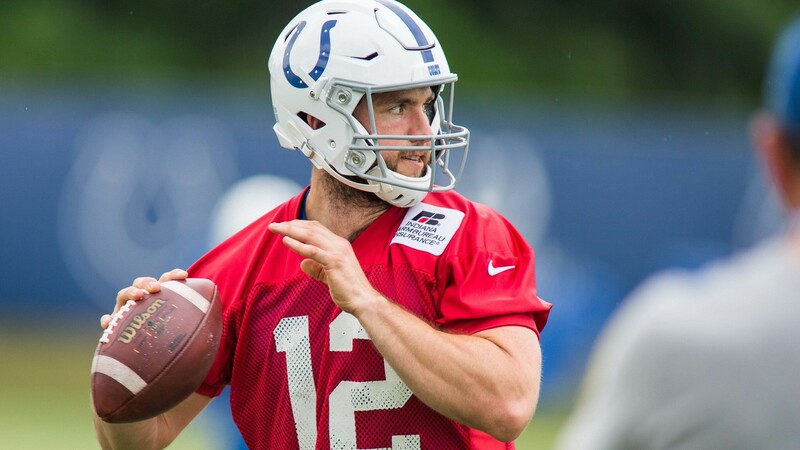 Reportedly, Luck is on course to open the season and hopefully ready to sling the pigskin like he did in his earlier years. But, what if he is not? We all witnessed what it was like to watch Luck play at a limited capacity in 2015. That was the season he completed just 55.3 percent of his passes and threw 12 interceptions compared to 15 touchdowns in seven games. Backup Jacoby Brissett remains on hand — just in case — as do Brad Kaaya and Phillip Walker. Yuck. 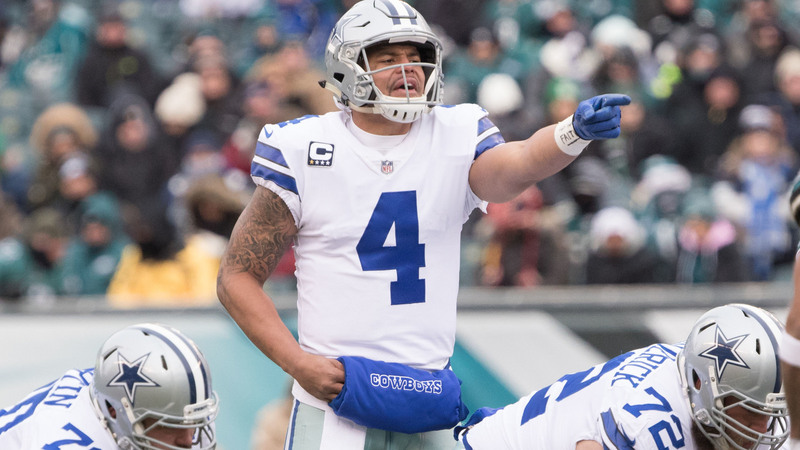 The Cowboys aren’t exactly a sure bet when it comes to the offense’s success behind quarterback Dak Prescott. Prescott was the prime example of a player stuck in a sophomore slump last year. He went from throwing 23 touchdowns and only four interceptions in 2016 to 22 touchdowns and 13 interceptions last season. Plus, Prescott’s pass completion rate dropped by nearly five percent. It also does not help moving forward that Prescott is minus wide receiver Dez Bryant and tight end Jason Witten. If for some reason Prescott continues to regress, and the Cowboys are forced to explore other options, second-stringer Cooper Rush would be the next guy to call upon. Hopefully, the Cowboys won’t have to turn to that drastic measure. Nevertheless, it is worth noting that Prescott has been undrafted in many early fantasy football mock drafts.